Frontier Communication is one of the largest telecommunication company in the United States. Starting its services from niche markets and rural communities, it has grown substantially to become a large company providing a broad range of services like email services, phone services, internet services, bill payment services, etc. Log in to Frontier Mail if you alredy have an account. Creating Frontier ID helps you access and manage multiple services through your computer and mobile application. 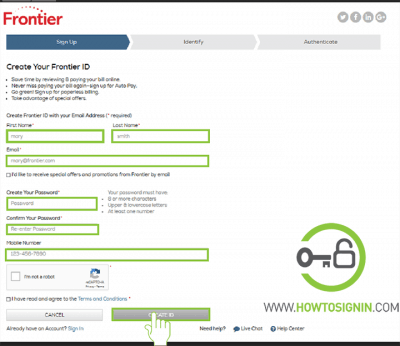 In this article, we will provide you the simple steps to Frontier Mail sign up in no time. So, let’s start. Navigate frontier.com in any web browser. Click Create a Frontier ID just below the sign in box of Frontier mail. In the registration page enter your first name and last name. 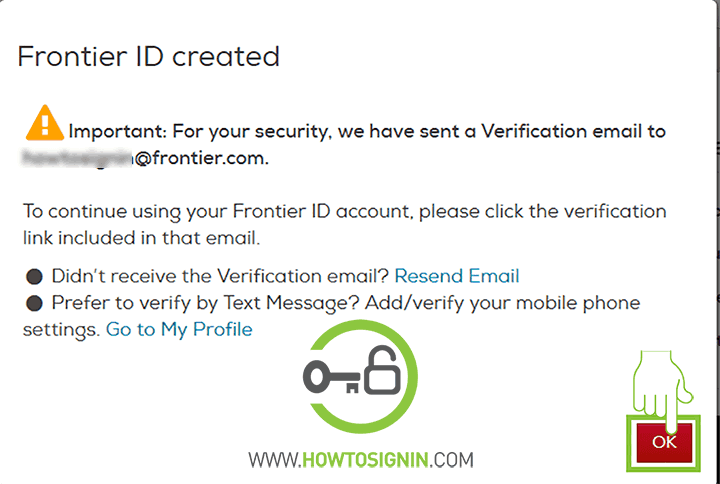 Enter the email id that you want as your username for Frontier email. If you want special offers and promotions from Frontier click on the small box, just below the field to enter your email address otherwise skip this step. Create Password for Frontier ID. Use the combination of letters (uppercase and lowercase), numbers and special characters while creating the password. Retype the password to confirm it. We recommend you to retype password manually instead of copy pasting. Provide your mobile number. However, it is not compulsory. Again, check the box before “I have read and agreed to the terms and conditions”. Now click on “Create ID”. 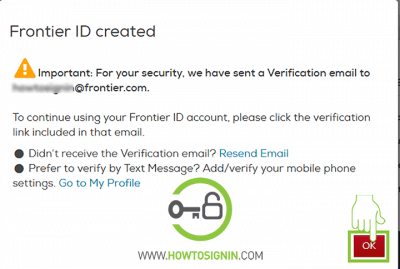 Now you need to link your Frontier ID to your Frontier Account. Select one of the three methods to verify and then click on “Continue”. You’ll get verification mail on your new Frontier email. Open the mail and click on the verification link. You’ll receive the code in SMS if you’ve registered with a mobile number. 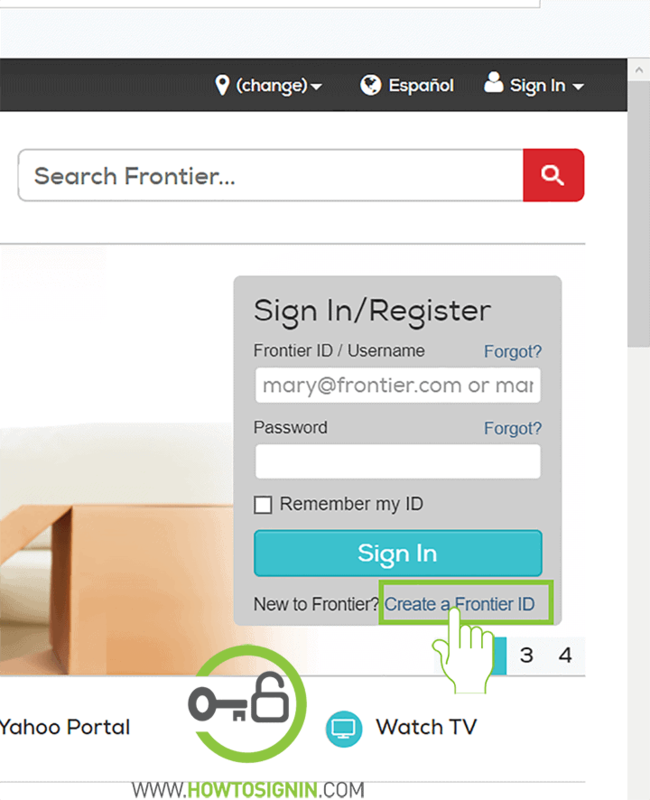 Activate your ID by entering Frontier ID and password.